If you've made the run between Sheridan and Malvern on US Highway 270, you've no doubt seen the long brown building on the south side of the road. 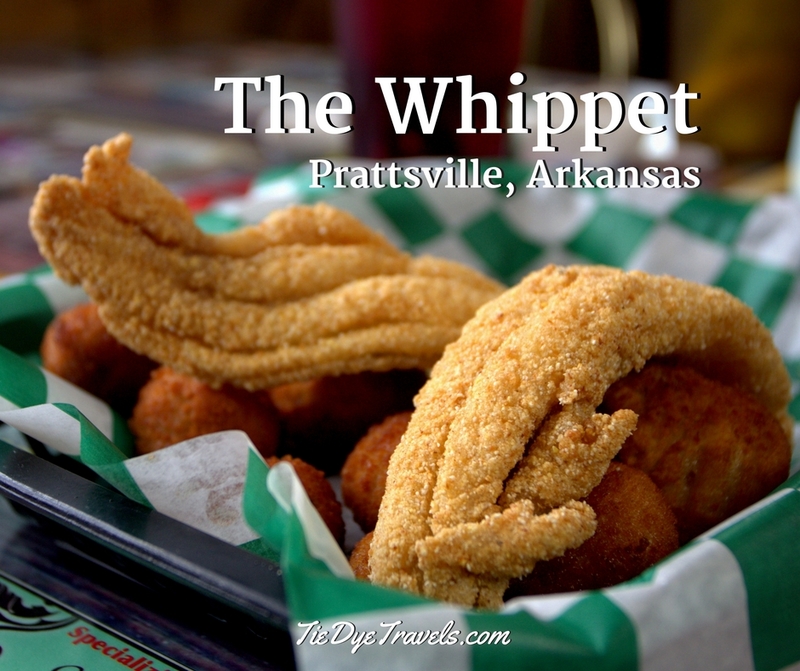 There's not much more in Prattsville on the highway, and certainly no place you can stop and get anything from catfish to ice cream. The Whippet has a particularly long history. 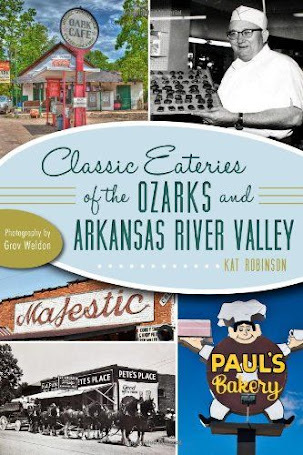 In 1966, it was originally opened a Lovoie's Drive-In by Carthe and Lovoie Shoptaw. Like many of the new restaurants from that time, Lovoie's was a window-only operation known for its burgers and ice cream. 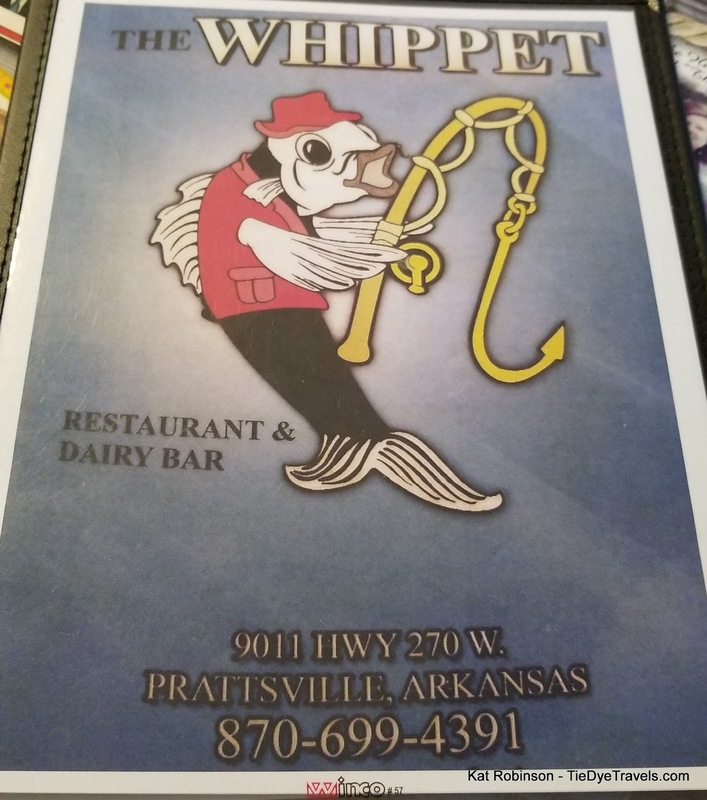 Five years later, Lester and Rema Gene Holimon bought the place and renamed it The Whippet, the name that would stick with it the rest of its days. It passed into the hands of J.W. and Pauline Harrington in 1976. The Harringtons expanded the size of the restaurant a couple of times over in 1985, adding a large dining room and expanding the menu. The current owner, the Hendersons, bought the restaurant in 1994 - the year the local schools were folded into the Sheridan school district. Derek and Debbie and their daughters still run the place today. 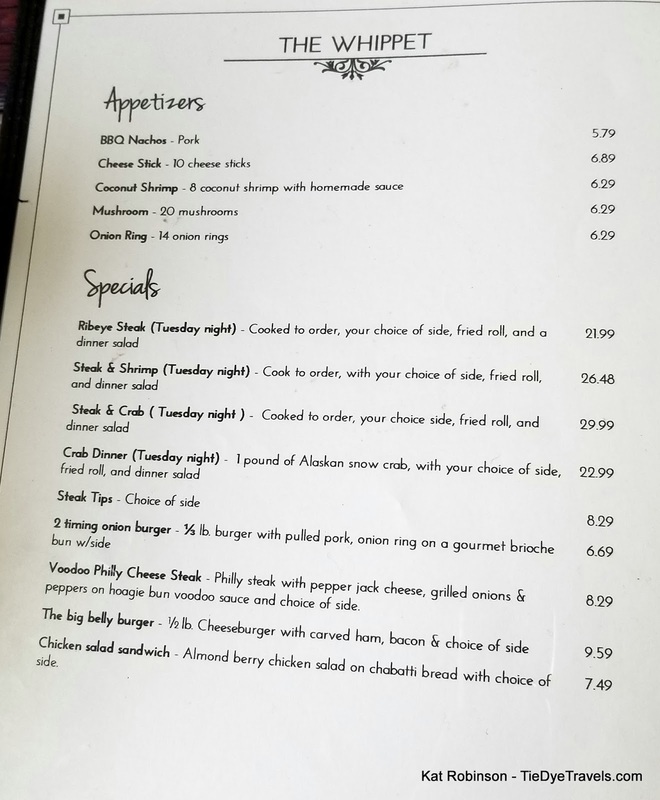 It's become legendary for its catfish and for its Tuesday nights - the latter part I would not understand until my latest visit. 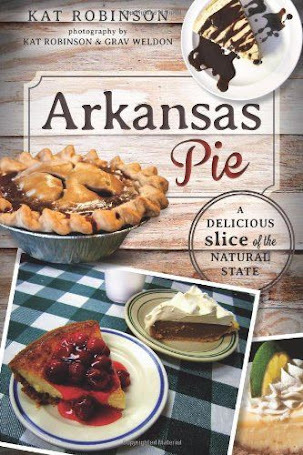 I dropped in back in December on the Great Arkansas Pie Hunt, documented on the video I put out after that particular run. That one day, I was on the hunt for a slice of chocolate meringue, and I was not disappointed. The whole pies available are made off-site in a local lady's kitchen, and they're usually of the meringue variety. The chocolate meringue this day was spot-on, with a nice meringue-to-chocolate ratio and a splendidly flaky crust, the custard a smooth, not-too-heavy sweet that I had to sink my fork into a few times more than expected (while looking for pies, I usually just eat one bite, especially on days like that one where I shot pies at six different locations). I used the time to relax a little and look around. The walls of the dining room at The Whippet are covered in class pictures from the high school. There are windows on the north side of the light-wood paneled room, and the tables are topped with ads from local businesses. I wasn't rushed, and I suspect from the conversation that my antics with the camera were of some amusement to the couple at the next table. 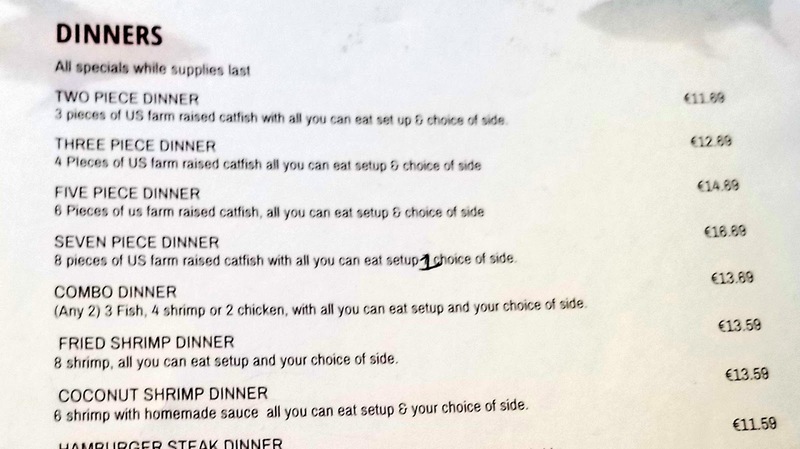 Said couple had ordered the catfish, and I made a note to come back for it at my earliest convenience. That happened to come during Spring Break for Hunter and I, who had spent a good portion of our day at the Grant County Museum. We were dinging about, just wandering as we sometimes do. Somewhere between Sheridan and Prattsville she asked if we could stop for a snack, so of course The Whippet it was. What I noticed different this particular Tuesday afternoon was a long table at the back of the room which was half full of men. They were quiet. Some were looking at menus but most were reading the paper or looking at their phones. We were seated by a window close to that table. 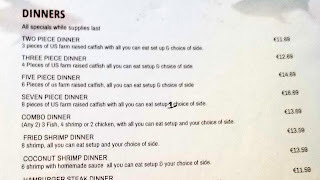 I knew I wanted some catfish, but we'd eaten at The Yellowjacket a few hours before and I wasn't just dying of hunger. 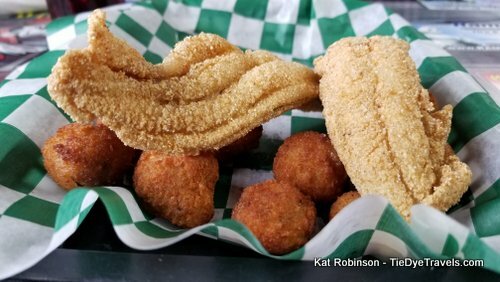 Fortunately, that wasn't a problem - there are a couple of smaller catfish basket options and I took one. Hunter was on a burger kick and ordered her second burger of the day. 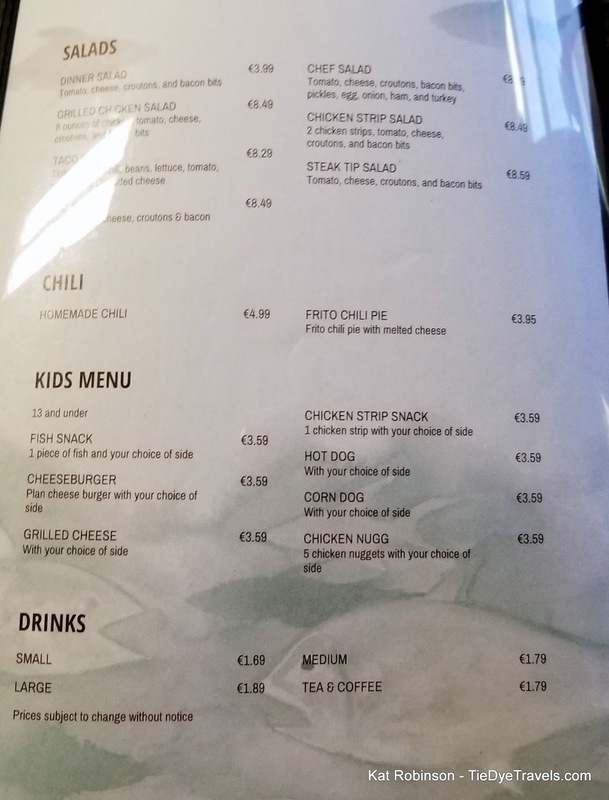 We'd just ordered when I noticed the first steak pass by. It looked marvelous, a slab that caught my eye and my nose, too. Nope, I told myself, I was there for catfish and I was going to enjoy catfish. 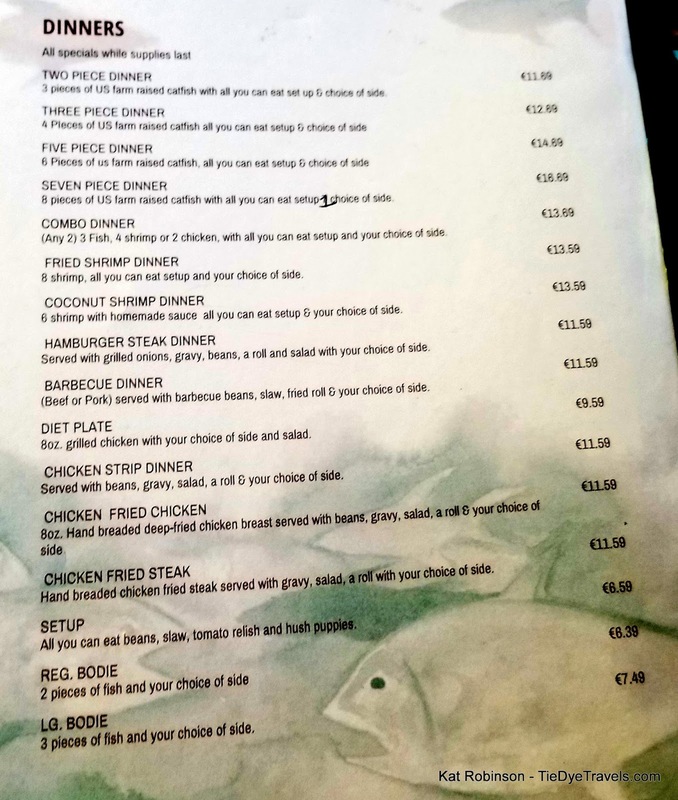 Those catfish options - well, they're varied. 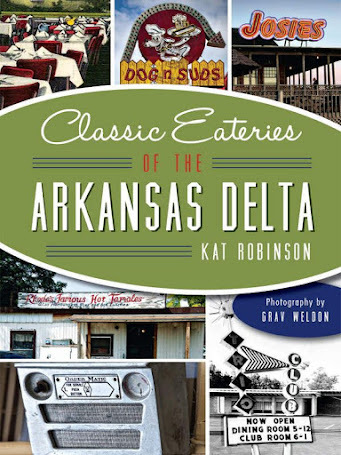 You can get a dinner, with anywhere from three to six pieces, your choice of side, plus a set-up of all-you-can-eat beans, slaw, hush puppies and green tomato relish. 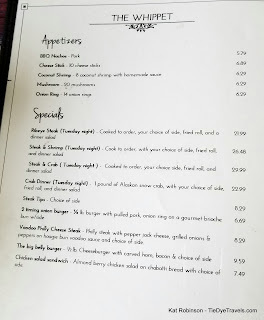 You can even just order the set-up, which Hunter would have been all over but, as I said, she was on a burger kick. but then there went another steak back to that table. Still not much for talking, though most of the guys who had been there had put down their papers. More men had filed in and - I'm serious, it was JUST men at the table. 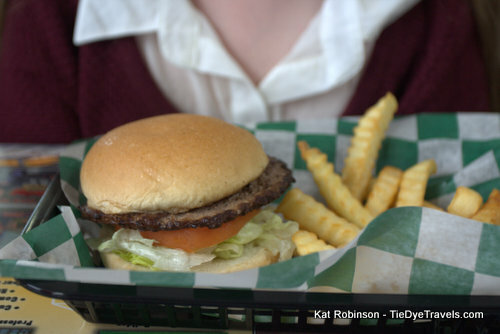 Hunter had her burger, which was a good dairy bar burger, griddle fried flat patty on a toasted seedless bun with her choice of lettuce and tomato and nothing else. My daughter is weird. She doesn't like cheese on her burgers and that just kinda gets to me. I mean, CHEESE. 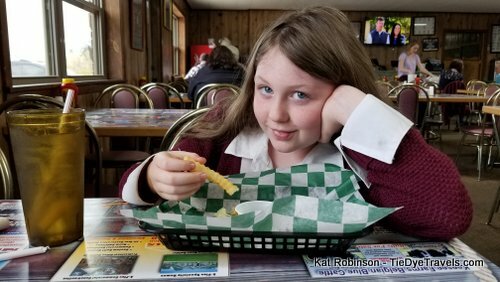 It came with those crinkle-cut fries I like, which she dipped in my ranch dressing (and once, but only once, into the tartar sauce for the catfish) and grinned like a fool. Dang if she didn't just get into that burger, and it was gone. 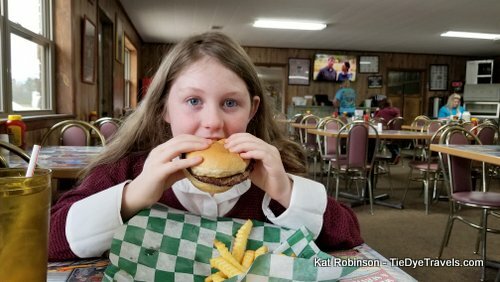 Where does a nine-year-old store all that food? I'm serious, she'd eaten a burger and fries at the Yellowjacket just a few hours before. I turned my attention back to the catfish, which was, if not just as good as described, was better than expected. It was golden and thank heavens salted right - not too much, but enough. The cornmeal glistened on its surface. This was photo-worthy catfish. 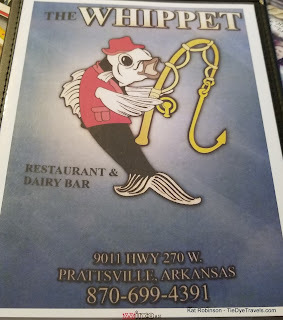 Inside was right too - good, clean catfish with none of the muddy taste. Pliant. It had been pulled from the fryer before it could toughen on the outside, which meant it had that nice moist-but-crisp breaking sound to it when I pulled it apart. Ah. And there went another steak, and I realized something was up. The table with all the guys was now almost full, and about half of them had steaks. The quiet was weird, but hey, it happens sometimes when there's good food amongst good friends. Sometimes you don't have to say anything. When our waitress came back, I asked. She looked at me and asked me if I just didn't know about steak night. I did not. 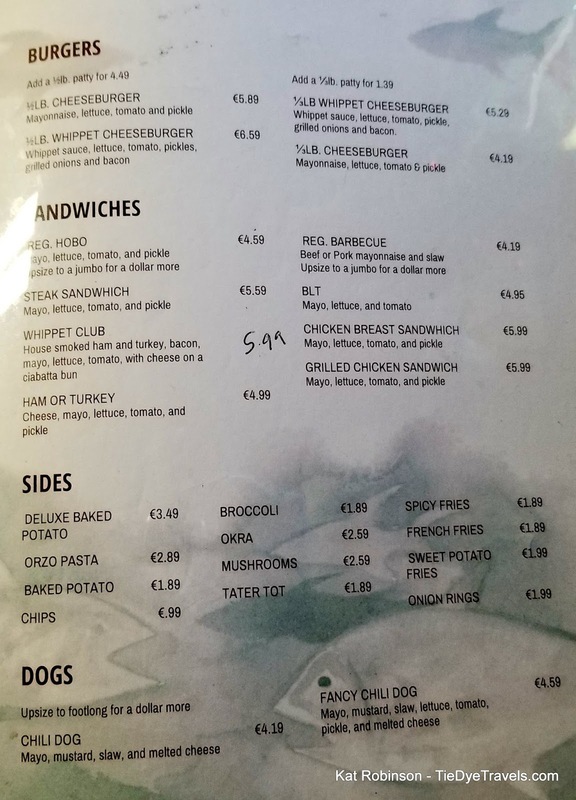 I should have noted that front page of the menu was different from what I'd encountered before, but I was in such a try-the-catfish state of mind that I overlooked it. I have to go back for Tuesday night. Hunter even rubbed it in a little, pointing out how she'd totally share a steak with me. I gave her a withering look and consoled myself by ordering the two of us a fried Flywheel apple pie a la mode to share betwixt us. Of course it was delectable. A restaurant that could perfectly fry a catfish fillet without letting the outside go the least bit touch should know how to perfectly fry a Flywheel pie. We were not disappointed. 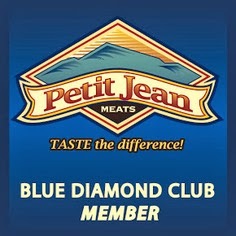 So yes, I have to get back to Prattsville and get myself a steak ("A steak! Oh no, a steak!" Hunter would tease me the rest of the day, playing on the tune of Badger Badger) on a Tuesday night. I need to get up the gumption to ask the guys at that long table why they're so quiet. 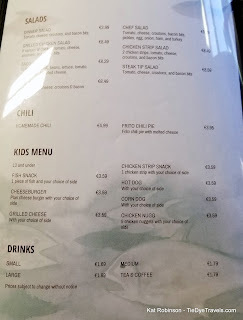 And I need to delve into a burger there myself, so I can research my next big book a little better. If'n you find yourself below the Greater Little Rock Metropolitan Area in that expanse populated by friendly folks and pine forests, and you cross roads at Prattsville, get in there and get you some catfish and a slice of pie. And for heaven's sake, don't make my mistake - if it's Tuesday, get you a steak. And if it's Monday, just keep movin' on. 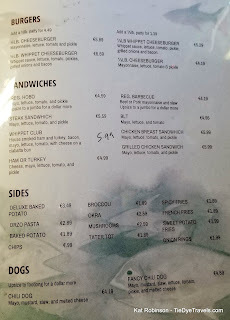 The Whippet isn't open on Mondays. 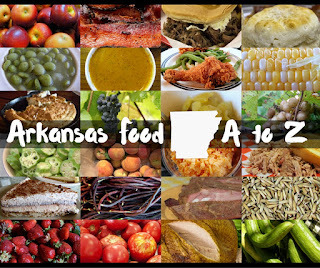 This restaurant appears in Another Slice of Arkansas Pie: A Guide to the Best Restaurants, Bakeries, Truck Stops and Food Trucks for Delectable Bites in The Natural State. Order your signed copy here, or purchase it from a reputable bookseller near you.